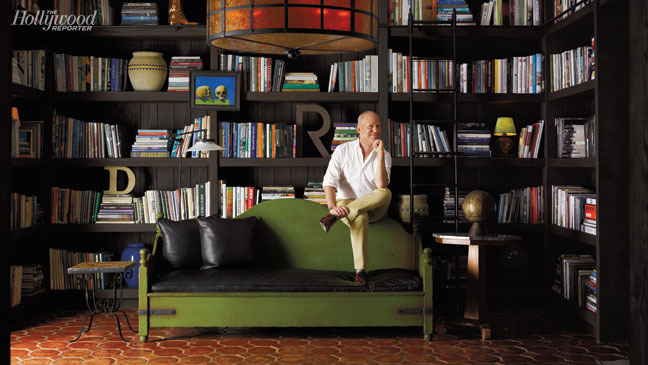 I have been thinking about Ryan Murphy's home (creator of Glee, American Horror Story, etc.) since it was pointed out to me on the celebrity home tour I took in May. The home is located blocks from the Beverly Hills Hotel, in the flats of Beverly Hills. What got me was the cacti. It just looked so lush, while obviously being the opposite. My preoccupation led me to the Hollywood Reporter article about the home. It turns out that the cactus theme carries over to the back of the house, and looks just as lush. Ryan Murphy with husband, David Miller, and their two dogs, Sara (left) and Owen. Ryan is a lover of Spanish Colonial architecture and a serious collector of 1920s and 1930s California-made Monterey Spanish furniture. He purchased the home from Diane Keaton for $10 million. 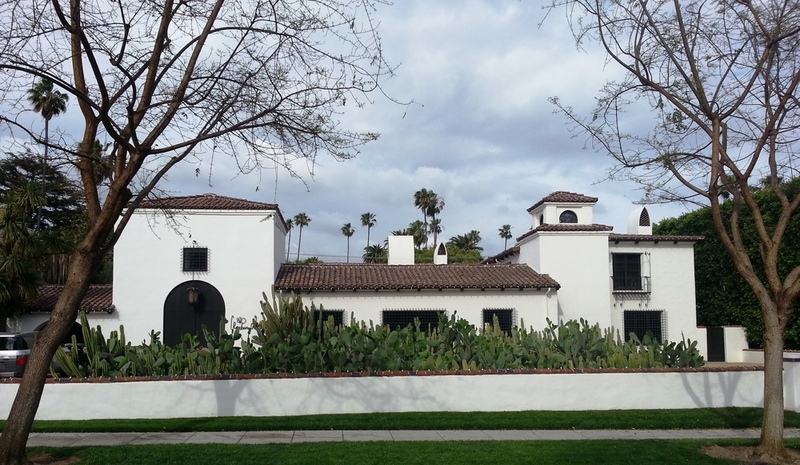 Before reading the article I had no idea that Keaton was considered an authority on Spanish Colonial architecture. She ever wrote a book about it: California Romantica. I also learned that when Ryan created the show, The New Normal, he wanted the sets to be in the style he loves. This is a funny coincidence because I talked about the bedroom set of the show in a previous post. I guess I know what I like.